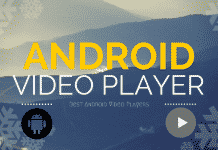 In such a huge platform of WhatsApp become a superior user is not so easy. Even when you search on the web, you get lots of tricks that may help you to be a perfect user, but even it is also becoming difficult to choose which tricks help you to become a more superior user then that of your friends. And it forces you to think deeper that how you can become a perfect user or simply how can you become a WhatsApp hero. If you think it is not possible. Then we will say Yes, you can become a WhatsApp hero. 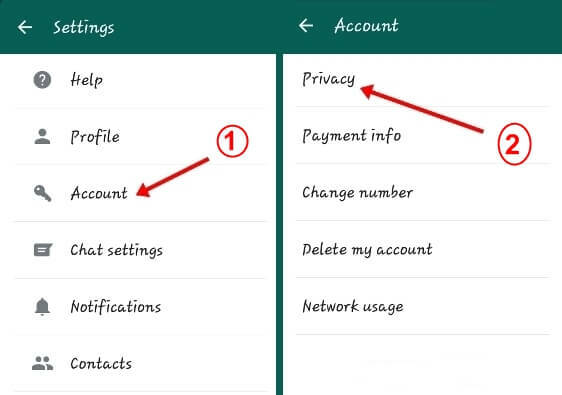 WhatTechSays share some hidden WhatsApp tricks that help you use it conveniently and help you to become a WhatsApp hero. Everyone tries to set interesting status on WhatsApp which is a common behavior among the user. But ever you think to set no status. It’s not possible. It does not allow you to set blank status or send a blank message. 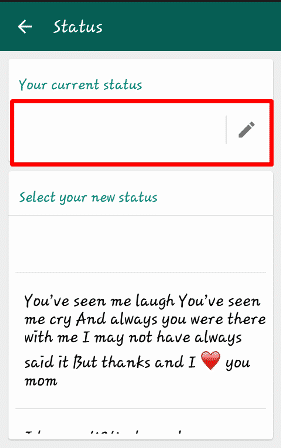 But here is a WhatsApp tricks by which you are able to send a blank message or set blank status. Download the blank status from the bellow and then copy and paste it in the status field or message field without the double quote. Like Facebook, it does not allow you to access on the web. You can only allow chatting by using the apps on your mobile. 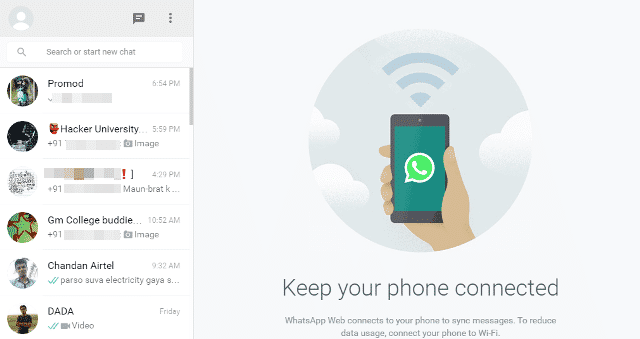 Now here is another WhatsApp trick to switch it in Chrome. web.whatsapp.com allows to chat using chrome. For this you need simple tricks to follow. 1) First open web.whatsapp.com. It will show you a QR code. 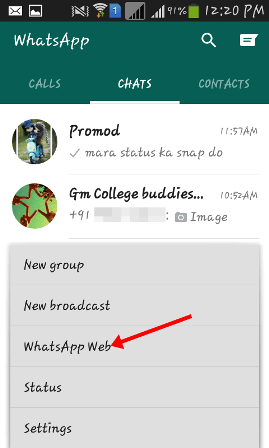 2) Then open the menu and click on the WhatsApp Web. 3) It will open a camera option. Scan the QR code. It will switch to the chrome. 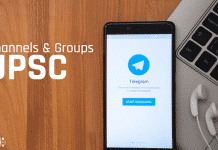 The group is one of the most interesting feature, which enable you to chat, share photos, audios or videos to every person in that group. But sometime it may irritate you because when others are chatting over the group each and every message notifies you. It’s irritating. 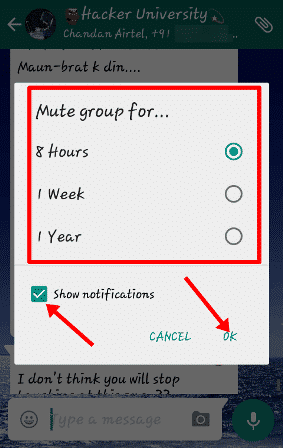 So here is another WhatsApp tricks that makes you able to mute group chat. For this you need to follow the following steps. 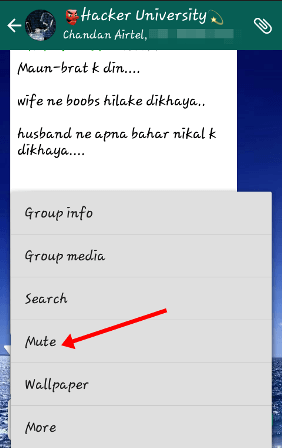 1) Open the group and press option and select Mute option. 2) After this select time up to which you want to mute the group. 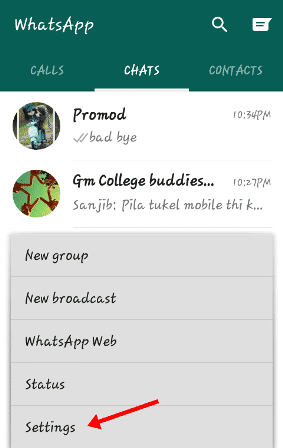 Email your chat is the best way to back up the WhatsApp messages. Because of whatsapp account not needs any email ID to create so the message never store in your mailbox. If you want to get an Email for each and very receive as well as send messages to your email account, then there is also a way to do this. 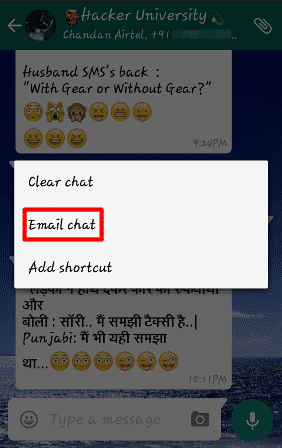 1) Open the chat and press menu option. It will open an option list. 2) From the option list, select Email chat. Whenever you come online every one of your friends know your last online time. It is not good at all time to show your friend that when you come last time online. 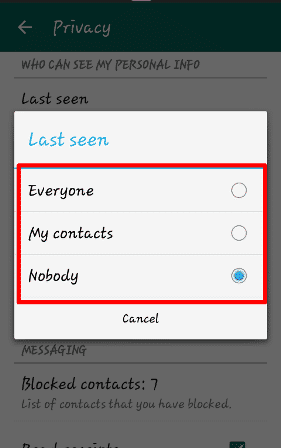 There is another WhatsApp tricks to turn off the last seen time. 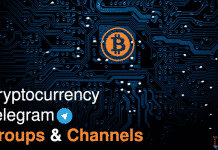 Here the steps that you need to follow. 1) Go to the menu, then to the setting and account. 2) Under the account option there is a field named as privacy. Press the privacy option. 3) Then there is an option Last seen, press on it. It will show you, from which you going to hide your last seen time. Select any one of these. Using this whatsapp tricks is really very interesting. You are able to increase your usability and can proudly say that “Yes, I am a WhatsApp Hero”.